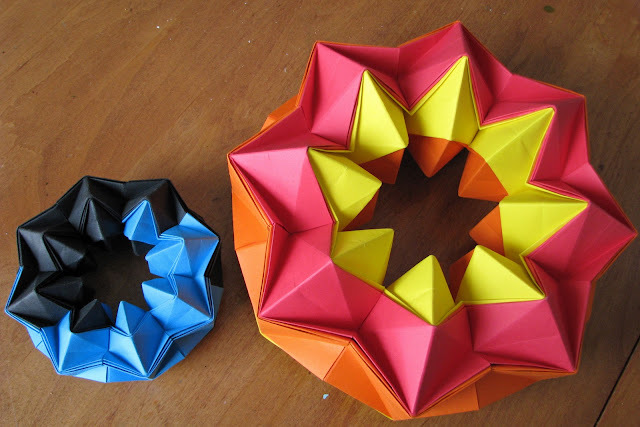 Stephen's folded several "Magic Stars" lately. They are pretty cool. They rotate around and look really neat and are pretty sturdy. 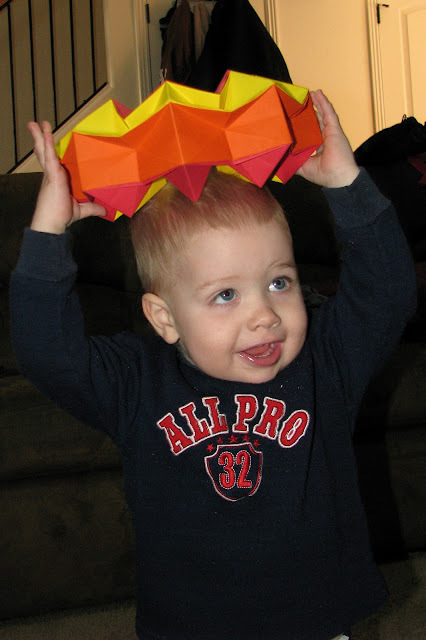 Porter is in a stage where he loves to put things on his head. He loves these Magic Stars and puts them on his head too, but his head is really too bad for them so Stephen made him a huge one. It is a big hit and fits a little better on his head. The one on the left is Vance's and it is the normal size so you can see how much bigger Porter's is. Fun.